On June 6, 1944, Allied forces launched the largest amphibious operation in history on the shores of France. The invasion was designed to strike a death blow to the Germans and bring World War II to an end. There were ceremonies along the French coast Tuesday to mark the anniversary. 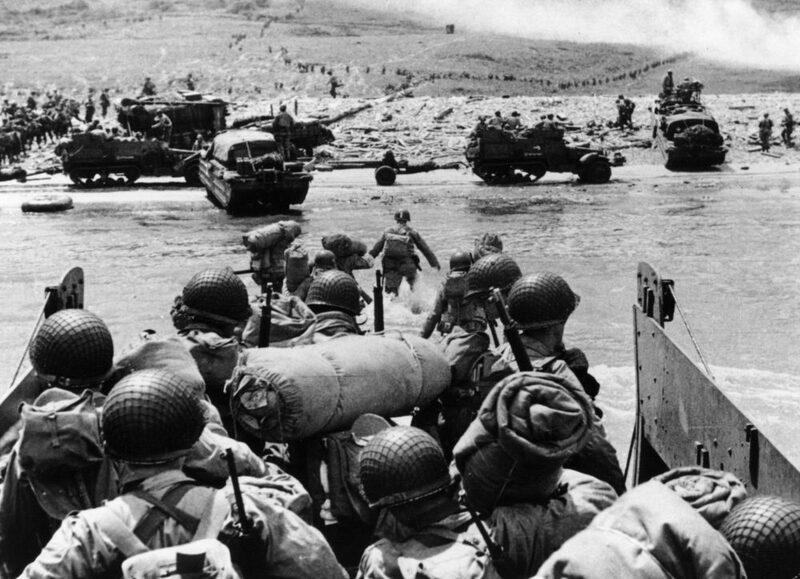 Here & Now's Jeremy Hobson listens back to a remembrance from one D-Day survivor, Norman Grossman, who was among the first American soldiers to land on Omaha Beach.